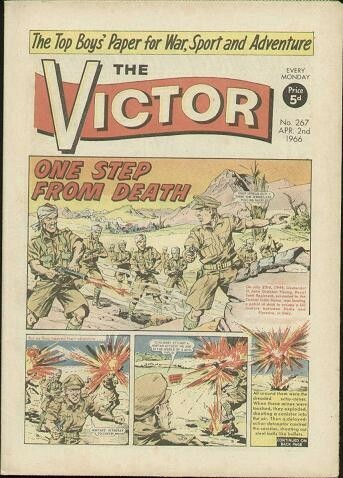 For more years than I can remember, my grandmother bought me a weekly comic called The Victor. I wish I still had those copies as they must be worth something. But I don’t. I don’t remember why I liked it. It wasn’t funny like Beano or Dandy. But there was one strip that I recall with great affection, The Tough Of The Track. This was the story of Alf Tupper, your typical northern tough nut. He was the underdog, as un-posh as they come. And, he survived on fish and chips. Glorious stuff.